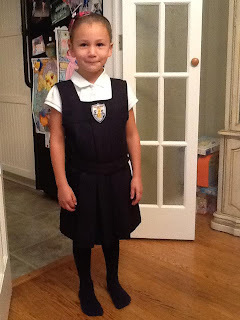 For the Love of Ava: Ava starts Kindergarten! Doesn't kindergarten start at age 5? in Canada we have "junior" kindergarten for 4 year olds (or turning 4 this year). Kindergarten in Canada is two years.